Join the interest list to receive the latest information about this conference. Questions? Please contact us at 202-467-2919 or email EducationInfo@PublicPower.org. 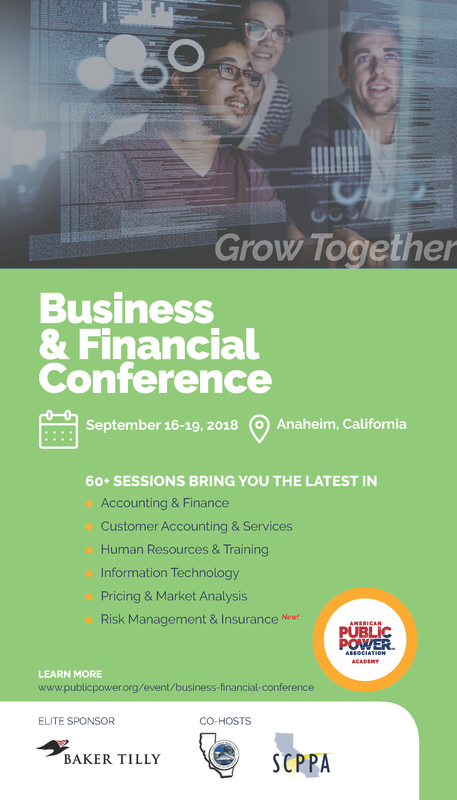 The B&F officers and Association staff have worked hard to bring you an insightful program for the 2018 conference in Anaheim. Review the 60+ breakout sessions, general sessions, networking events, and four preconference seminars here.